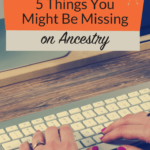 Many genealogists have a love/hate relationship with Ancestry's hints. 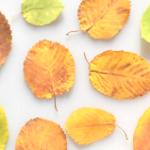 Those little shaky leaves can yield great clues, but like leaves in the fall, it can feel overwhelming when they start piling up. Here's how to manage those hints. After I clicked the leaf icon, the number went away. Just when you think you've gotten to the end of the hints, Ancestry adds more. Ancestry doesn't give all of the hints for a person at once. Show some activity for a person (especially one you haven't worked on for awhile), and Ancestry will think you're now focused on that person... and give you more hints. Instead of working through my 10K hints in this tree, I'll take a look at one ancestor. When I go into my tree and look at the profile for one of my ancestors, I click the "Hints" tab so I can see the hints for just that person. 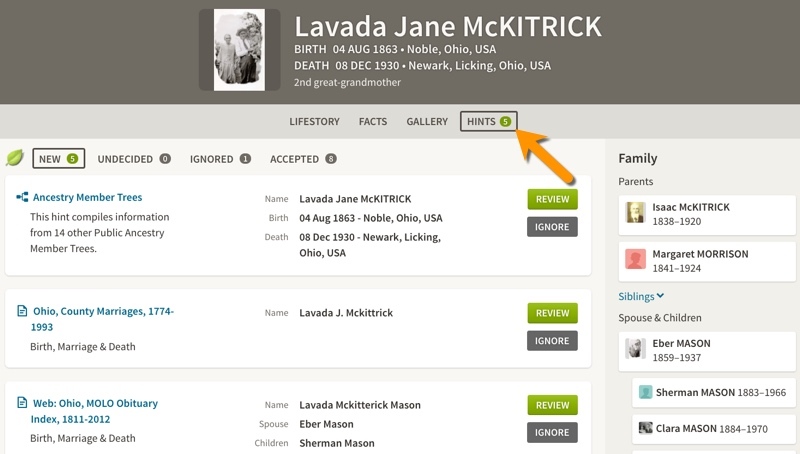 Here's the page for my great-great-grandmother Lavada Jane (McKitrick) Mason. Now instead of more than 10,000 hints, I'm working with just 5. An added benefit for working with hints from the ancestor's profile page is that you'll be less distracted by all of those other hints. Less distraction = better chance of staying out of the genealogy rabbit hole. Randy Seaver at the Genea-Musings blog has a post about how to filter the hints by collection. If that's a method that will work for you, go for it! I've written before about why you need to review a hint before accepting it, but it boils down to this: That hint might be wrong. Just because Ancestry serves it up on a shaky leaf doesn't automatically mean that it pertains to your ancestor. 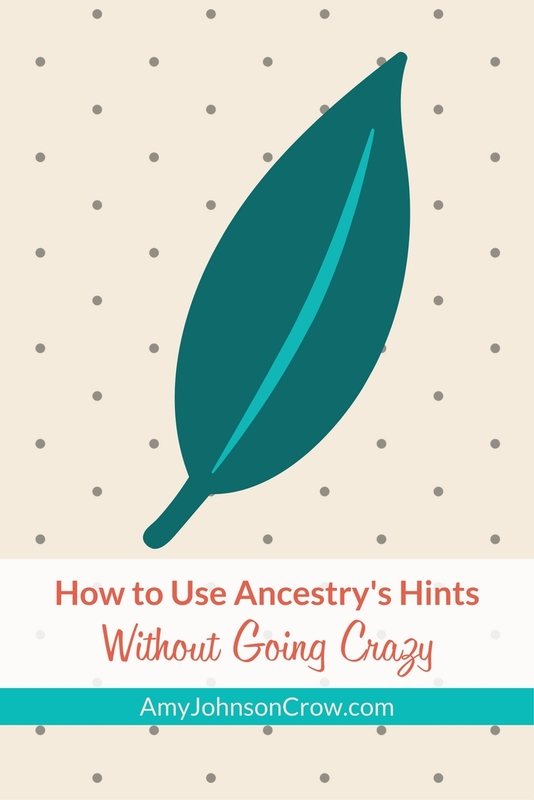 Take control of your Ancestry hints and you'll make more progress with your research. 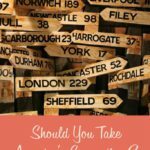 Take control of your Ancestry hints and make more progress with your #genealogy. 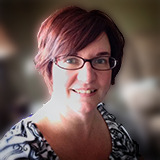 This entry was posted in websites and tagged Ancestry, hints, shaky leaves by Amy Johnson Crow. Bookmark the permalink. I wish the hints would stop repeating! I get hints I already have the data for – drives me bonkers! If the record is in multiple collections, you could see it multiple times. I’ve had that happen on some of the vital records collections where there is a text-only index plus another collection that has the image. Also, you could get multiple hints to a photo that is saved to different trees. It is frustrating. Me too. And a lot of the hints are from ME – my tree. Frustrating. This is a very good article on how to handle the green leaf hints. Thank you for the advice. I’m glad you found it useful, Jack! Thanks for stopping by. I find Randy Seaver’s method of searching a collection at a time to best for me. 1. They have the same source, with just the citation changing. 2. Working one one collection at a time I get in the groove of reading that collection, knowing what to look for. 3. My media file names are similar with only names and dates changing. It is a good system. My challenge with it is that it leads me down more rabbit holes — I end up looking at ancestors that aren’t connected to the problem I’m trying to solve. It’s hard to put blinders on sometimes! I know what you mean! I keep getting hints for stuff I originally added, plus the same hints that someone took from me and now show up under both our names. Sometimes when I’m waiting in a line for some reason and need something to keep my mind of the clock, I go thru, say, just the photo hints and just delete the duplicates. It’s not a great use of time, but it’s better than me upset over how long I am spending in line. As a general rule, I do the same, Amy. I just click on the number so it goes away. I don’t feel so bad about having 6K hints now…you have many more! I took a clue from a newly found cousin. I now add to the photo description: “Photo held by” and I add my name. This let’s everyone know where the photo originated. Jean, thank you for that suggestion. I have had people use a photo from my tree, where I have the original. I’ve contacted a couple of them, asking about the relationship, but don’t get an answer. If their tree is then private I’m not able to tell why they wanted that photo. , it comes back next time !! Is there away to find out which one is the ‘new’ hint? One thing I noticed is that when you view the details of someone on your tree on Ancestry’s site, or in Family Tree Maker if you sync with Ancestry, it initiates a refresh of searching for new hints for that person. If you happen to peek at someone on a branch that you don’t often work on, or accidentally click on someone, this can add a bunch of new hints to your list. That’s exactly right, Bill. New activity on a person in your tree is a signal to Ancestry that you’re interested in researching that person, so they’ll unleash more hints for that person. Great article about dealing with hint overload. I’m thankful for the hints, don’t get me wrong, but it *can* be overwhelming. 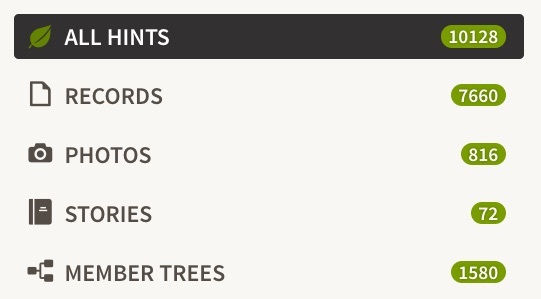 On a related note, I’d love to see some best practices for reviewing & accepting hints from “Ancestry member trees”. I searched your blog for that, but nothing jumped out at me. My usual practice is to pull up the other member’s entry for the alleged ancestor and review their sources — if they used something besides other members trees, and their sources are different from what I’ve found for that ancestor, I’ll dig deeper. But I’d love to see more tips on that topic! Thanks! Yes, it can be frustrating,but your suggestion is a good one. Unfortunately, Ancestry now has picked up My Heritage’s habit of sending e-mails with the newest hints, which can be annoying. I research in the Dominican Republic. Since Latin names are common in all South American countries and Spain I get a ton of useless hints. They should have a filter for that; at least My Heritage does. I ignore what is up there and concentrate on one person at a time. Don’t forget to kill off hints for the parents of the inlaws. It’s very important to remember this. This will stop the hints from coming for these parents. You want descendants, not the uplines not related to you. The hints that bother me the most are when I have more complete information and the hint gives me less but says the data is “Different”. Example: I have “San Antonio, Bexar, TX USA” and the hint is “Bexar County, Texas”. A waste of time reviewing, but thankfully easy to “Ignore”. One of the most annoying things to me is to get a bunch of hints and when I look at them, i find that many of them are hints from the family tree that I posted on Ancestry. 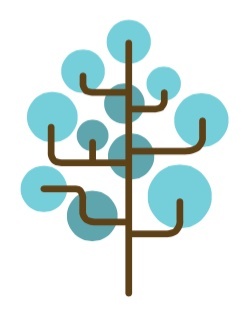 It would seem to me that Ancestry could filter out any “:hints” that were created from my own tree since my tree is attached to the same user name as my current online Ancestry session. Has anyone else experienced this issue? I haven’t had it happen that it will hint to the same tree when I’m looking at a person in that tree, but I have had it hint to other trees of mine that have that same person. (For example, if I have my great-grandfather listed in my public tree and in a private tree that I have as a “working tree,” it will hint to the public tree when I’m looking at him in my private tree.) Definitely annoying. Constantly. Click on Ancestor hints, person or persons come up with little or no info (no census, draft, burials, etc. ), but when I click on their “research” I come up as the person who provided the info. The only good that comes from it is that I can see the names of other researchers, at least some who are relatives. Yes, I get my own posts returned to me all the time. I just got 34 hints for my father and they all originated from me. HI Amy, I was overwhelmed with those shaky leaves. Click settings and turn off the hints. Satisfied! If we do our own research we really don’t need the hints, apart from as a “HINT” to give us an idea to follow up. You can also choose to exclude Ancestry Family Trees from the hints. Just go to Site Preferences under your profile name and it’s the first option. This cuts my hints down by much more than half. I don’t need all my cousins’ trees in my hints over and over, and for new people member trees are often suspect. If I have no idea where to start for a new person, I can always search in Ancestry Trees for ideas. I often do the same thing, Eric! I would like to turn off all of the “photo” hints that are just pictures of flags, churches and bogus family crests. Actually, I would like to turn off the hints totally and just reactivate when I am really stuck on a person. I start off by ignoring the family tree hints and concentrate on finding facts that can be documented…then if some of those seem suspect or not useful I go to the family trees and see what they have and if they have documented information that can be used to fill in missing pieces. I’ve learned how to properly manage Ancestry hints. What’s worse are My Heritage Smart Matches, Discoveries and GENI connections. They are much more time-consuming and difficult to sift through. I feel they are intended for people who don’t do in-depth research and just want to add numbers to their trees. I am discontinuing my subscription with MH; I’ll gladly live with Ancestry’s hints, despite all its faults. When I accept a hint, and link to my tree, Ancestry.com keeps showing me that same record as a “hint”, and when I click on it, the response is that’s already in your tree. So, how do I get Ancestry.com to stop showing the same hints over and over and over? (No, this isn’t an issue involving multiple trees, since the person in question appears only in one tree.) If you can help me solve this one I’ll be forever grateful! Every so often, I go to all hints for a particular tree. Then I sort by person, filter by “member trees” and click on ignore for all of them. (That way, they’re still there as “ignored hints” for that person if I need a clue.) I do the same thing with those annoying generic photos that I hate so much and duplicates of the same photo. Now if only there was a way to get rid of “ghost hints”, I’d be truly happy. I seldom start with the Ancestry Member Trees. I start with “paper” facts- census, birth, marriage, death records or certificates, and obits. I want facts before I turn to “hints”. Sorry, I just don’t trust most of the people who make trees. Once I find a tree that is “reliable” then I will compare to see what “facts” they have. Most useful thing about the trees is the possibility of finding parents. Once I find them, the routine starts again with facts. You don’t have to even look at hints from trees if you don’t want to. 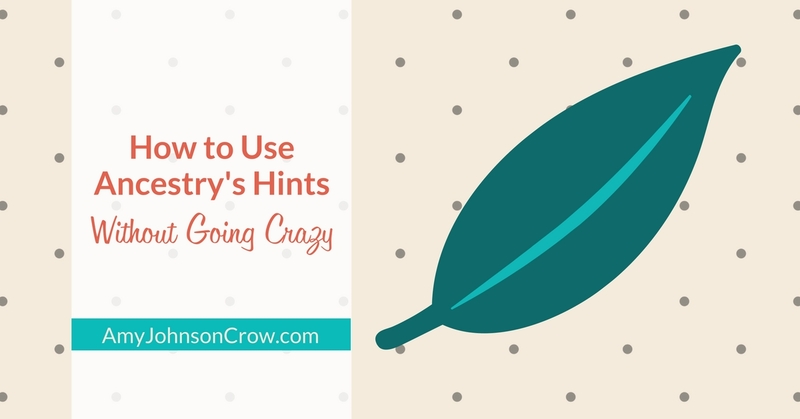 Hints come not only from trees, but also from the sources like you mentioned — census, vital records, etc.